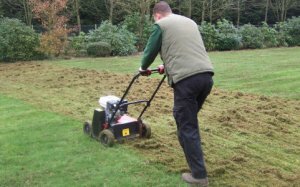 Scarification is carried out to remove organic matter from around the base of the grass plants and tidy up any straggly lateral growth. 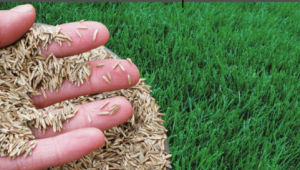 Scarification removes material, in the form of thatch or moss that will otherwise prevent good dense grass growth. 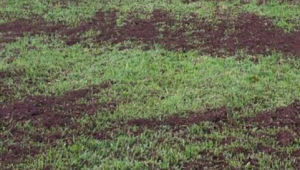 If you do not scarify, debris will build up and lead to other problems. 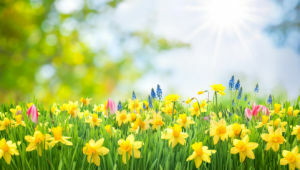 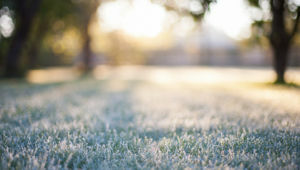 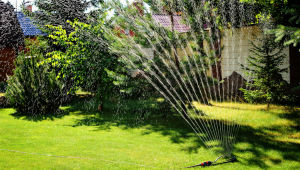 Thatchy and mossy lawns will not be very wear or drought tolerant. 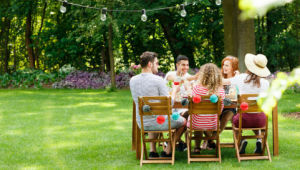 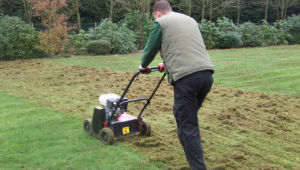 This procedure involves going over your lawn with a purpose-built lawn scarifier, which will remove sub surface thatch and moss, which will encourage a healthy, thick sward. 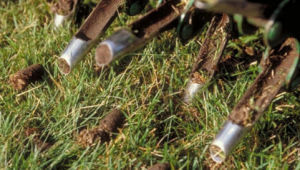 This procedure usually follows the aeration procedure so that the cores that are taken out are mulched together. 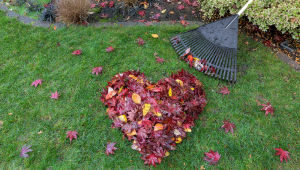 We remove all debris from your lawn created as a result of the scarification.